"The room was well equipped." 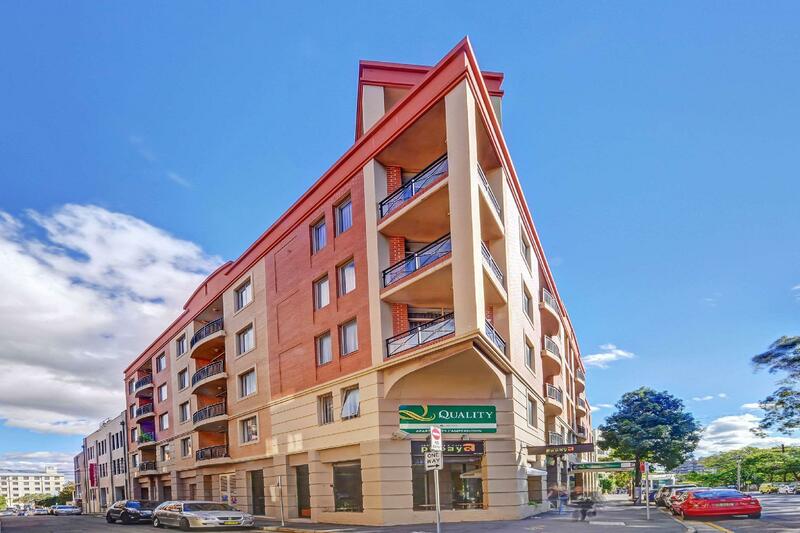 Have a question for Quality Apartments Camperdown? "I was looking for a quiet place for myself and my two groomsmen for the night before my wedding and it worked out great." "The staff were friendly and it was conveniently located to our event and night out in Newtown." "Staff were extremely welcoming and friendly." 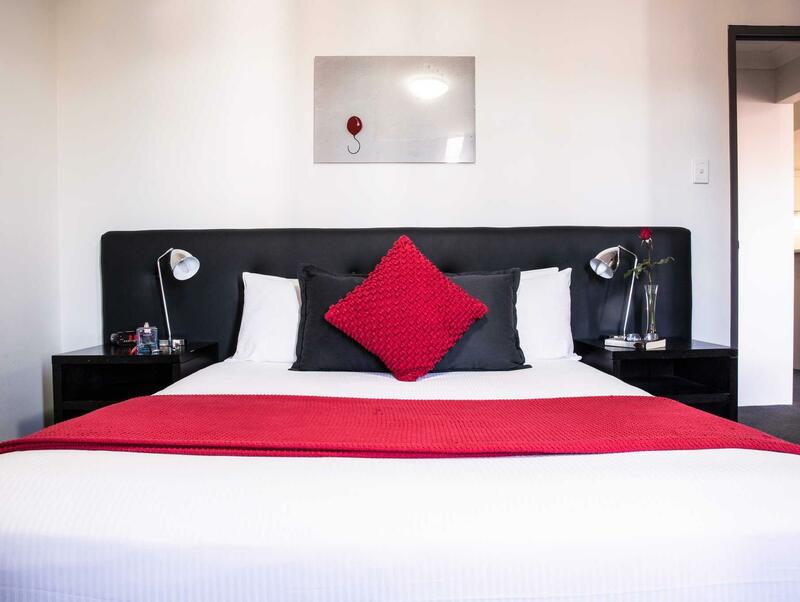 Sitting on the edge of the city, Quality Apartments Camperdown offers an accommodation in a perfect location by the Sydney University and King Street where you will find a collection of boutique stores and a wealth of restaurant to choose from. Also in the area for you to explore are the Broadway Shopping Center, Enmore Theater, and Circular Quay. The property makes a perfect base for those who set out to see the Inner West area of the city from a convenient location. The spacious apartments come with a full kitchen and first-rate service to guarantee a pleasant experience. 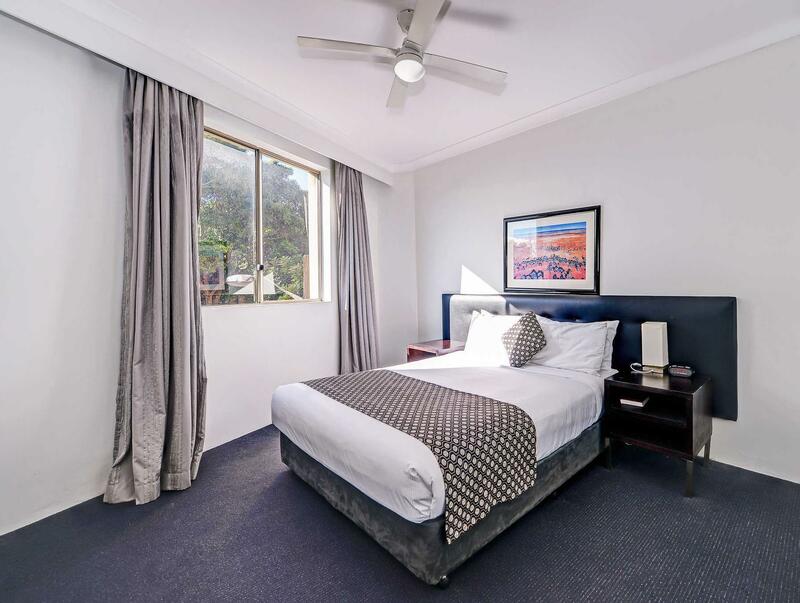 Your needs are well taken care of by one of Australia’s most reputable accommodation providers at Quality Apartments Camperdown. "A great spot to base yourself in Sydney." Please note that parking is available on site at AUD $20 per day and needs to be booked in advance. To book, please contact the hotel directly using the contact details found in the booking confirmation. 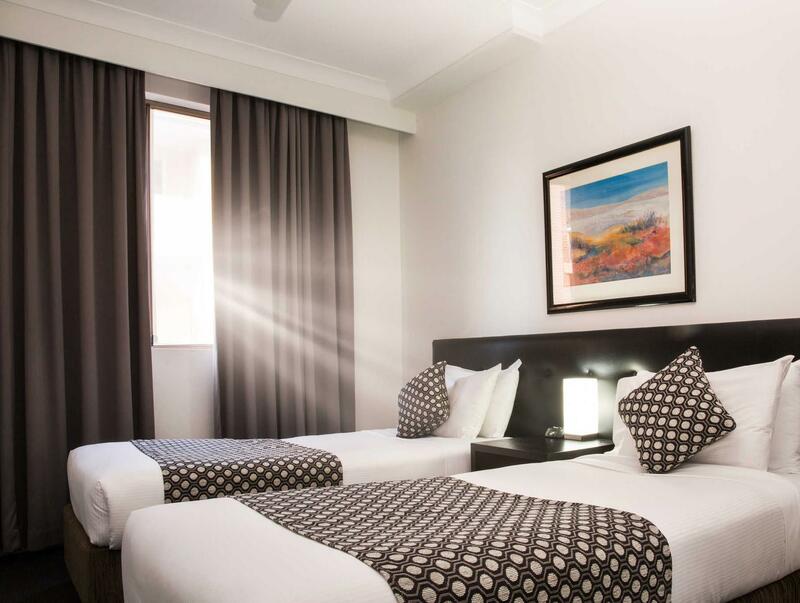 Please note that all Executive Studio Apartments are located at the hotels other property nearby at 108 Parramatta Road (corner of Missenden Road and Parramatta Road) in Camperdown. Check-in is located at a different location from the property's address. Please contact the property for more information. 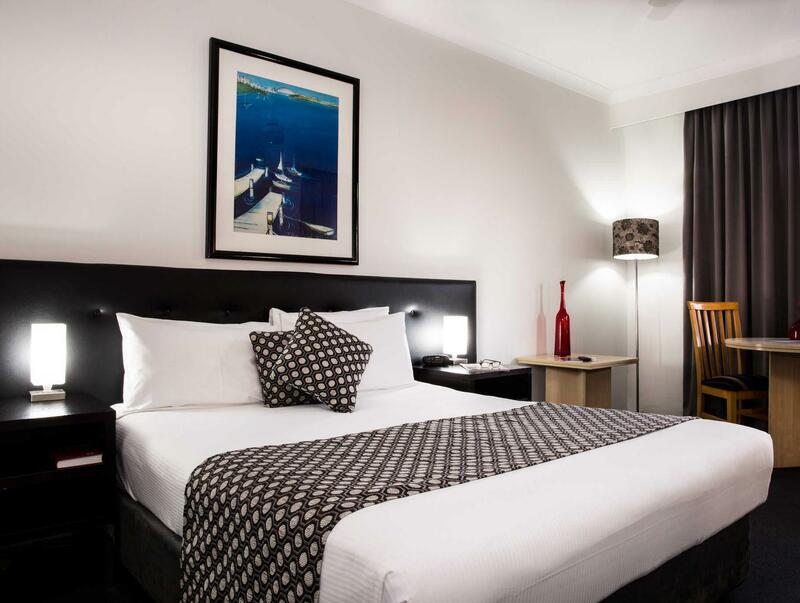 Check-in is located just 100 meters from the property at Quality Suites Camperdown, 108 Parramatta Road, Camperdown NSW 2050. Extremely spacious, comfortable and clean. A small, up-market food store is just next door and a good, old-fashioned pub is very close, too. An easy stroll up to King Street, Newtown. It was super hot when we stayed there so the air conditioning was greatly appreciated. 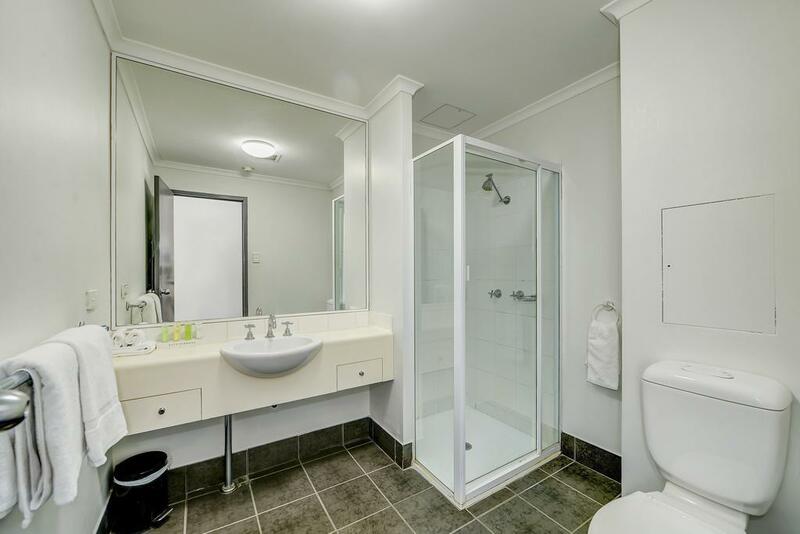 We had a lovely stay at Quality Apartments Camperdown. The room was well equipped. The staff were friendly and it was conveniently located to our event and night out in Newtown. Hi Everyone- these APARTMENTS ARE WONDERFUL- great rooms- Large living areas -kitchen good( could have more for cooking)- bathroom facilities - and own washing/dryer - POOL LOOKED INVITING but no time to test it out-COMFY BED GREAT VIEWS -OPEN BALCNY and FRESH AIR - LOVELY NB- LIFT can be dodgey when cleaners are all using it too at busy times!- Need to open fire stairs just incase lift not wrking and in a HURRY! -GOOD IDEA to get lift checked!!! Not only were we moved to a different hotel down the street without being told in advance, we were given a twin room instead of a suite. My partner is 6’4 and far too tall to fit comfortably into one of the two single beds we were given. There was hair in the shower when we arrived. Helpful staff at reception; good location close to public transport and small supermarket. Close to RPA and close to transport. A great spot to base yourself in Sydney. Apart from confusion with the two locations and the lady on Parramatta Rd sending me up to the second floor only to realise that I was staying at the other location, the experience was great. I was looking for a quiet place for myself and my two groomsmen for the night before my wedding and it worked out great. Will use again. Very spacious and tidy. A slight wear and tear but nothing bothering. The road in front was quiet at night (very light traffic passing). 7-11 is nearby (next to hospital). 412 bus stop also next door. More buses at Parramatta Road, next to other Adara. Parking optional. No Free Parking in this apartment, but transportation is acceptable. The apartment is very spacious, well set out and clean, but as we were on the top floor it was very hot when we returned to our apartment and it took ages for the air conditioner to cool it down, the windows didnt help as anyone could have climbed in as there are no flyscreens on the windows. Although I booked for 5 they tried to charge me again for the 5th person. The parking is extra, agoda says in the fine print $20, but they charge $25 +a credit card charge. Due to a long day in the office, arrived after 9pm to check in, only to find the doors locked and the reception closed. There was a number to call but no one answered. Only reason I could check in was because the receptionist returned back to the office, perhaps because she forgot something. To top that, she also had attitude for checking in after 9pm! close to university of Sydney. Thai restaurant next door. dhoby next door. The receptionists were very good. Helped me out with printing and scanning. Called transport for me.